None of us rely on a single email address. We have multiple email addresses catering to various types of transactions, exigencies, and redundancies. And emails are mostly read on cell phones. It is quite frustrating to have to install multiple apps to access multiple mailboxes. Gmail app for Android has come to our rescue. They have introduced a unified mailbox feature that allows users to add multiple mailboxes within the same app. Just like you would with MS Outlook. Any mailbox with POP and IMAP protocols built into it can fit the bill. Also Read: Are You Scroogled? I mostly use Gmail and Outlook. As one would expect, I have different apps for Gmail and Outlook – the proprietary ones. I am not a big fan of the Outlook app as I find it less user-friendly and coupled with a mediocre GUI makes it a good app to potentially avoid. Gmail app on the other hand, is quite friendly and provides easy management of emails. 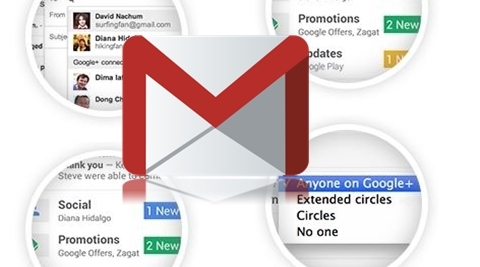 The unified Gmail app on Android allows Outlook mailboxes to be added onto it natively. It provides similar support for Yahoo mailboxes as well. And the best part is, if you have multiple Gmail boxes (which is a good probability), you can add them as well without having to log off from one account into another. As you would on MS Outlook, you can change the FROM option to compose and send out messages from a particular mailbox. And, you can view all emails in one snapshot by using the ‘All Inboxes’ option. The new app also promises better search functionalities and a better functioning autocomplete feature. It also features responsive animations, larger attachment previews and single tap save to Drive. What next? Perhaps integrating MS Exchange onto the Gmail app would make it the mother lode of all mail applications.